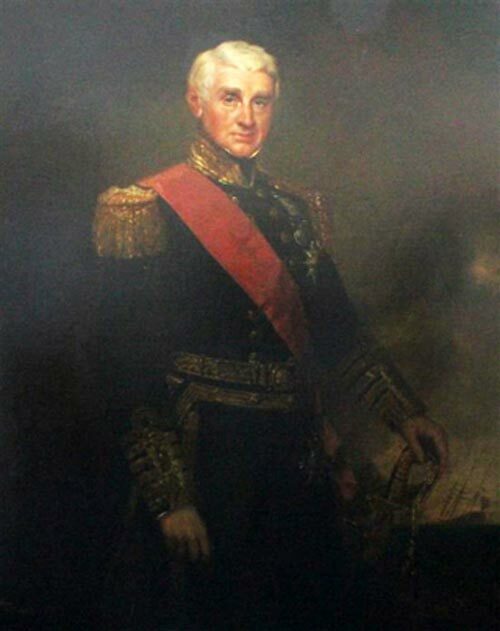 Thomas Cochrane was born in London on 5 February, 1789 and he began his naval career at the age of seven. He was made lieutenant in 1805, and captain a year later. Cochrane's promotion was criticized as "gross jobbery", or blatant patronage because of his father's influence. Cochrane went on to command the Surprise and the Forte, and was appointed the first governor of what was now officially the colony of Newfoundland in 1825. Cochrane was an energetic governor. He built Government House between Fort William and Fort Townshend, at very high cost. Working with an appointed council, Cochrane revamped the poor relief system by having recipients help build the first roads connecting St. John's to nearby outports, and by encouraging agricultural development. He tried to implement municipal government in St. John's, but merchant rivalry and religious factionalism thwarted his efforts. Cochrane opposed the introduction of representative government, thinking that the population was politically immature and not sufficiently educated. However, a new constitution was granted in 1832 which provided for a legislature, and Cochrane became the first civil governor. In 1833 he opened the newly- elected legislature, promising cooperation in all measures. But the political situation soon deteriorated, and Cochrane and his council were in almost constant conflict with the reformers. The dissensions of this period had strong sectarian overtones, and the situation became increasingly polarized as Cochrane came into direct conflict with the Roman Catholic bishop, Michael Fleming. Cochrane was recalled in 1834. He and his daughter were pelted with filth on their way down Cochrane Street to the wharf. For all his misadventures in Newfoundland, Cochrane went on to have a successful political and naval career, becoming an admiral of the fleet in 1865. He died in England in 1872.